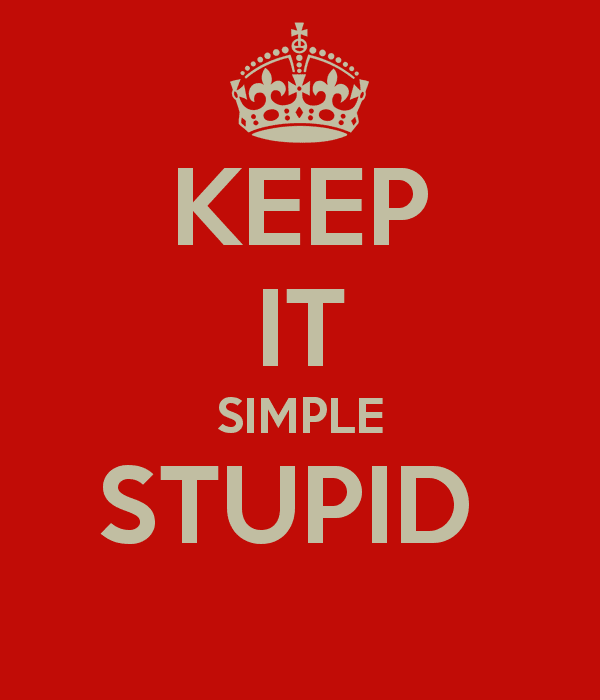 On keeping it simple Header set Expires "Wed, 15 Apr 2020 20:00:00 GMT" Header set Cache-Control "public"
Have you ever heard the term 'Keep It Simple Stupid' or KISS? It is a term often used in engineering and technology for very good reason. It is easy when developing a new website to add lots of things, links, boxes, menus, popups and who knows what else. Without good thought you quickly end up with an almightly mess that no one is likely to want to navigate around. We've all seen websites that have pages full of stuff and you have to scan the page quite hard to find the bit you want. When you have a site that has a lot going on it needs planning and a logical framework that will make sense to someone who isn't a programmer but rather has a degree in common sense. Keeping it simple takes thought, planning and good design. Simple it is not but the result should be.